The Core Curriculum Fund Committee shall protect accumulated assets, ensure proper management of new income, and confirm appropriate spending of Core Curriculum funds. The Corporate Relations Committee shall serve as a liaison between the Society and corporate partners, facilitate corporate fundraising activities and provide logistic support to companies that wish to sponsor a speaker or other educational functions. The Education Committee shall be responsible for the medical and socio-economic education of the ASHNR members and other professionals who participate in the educational activities of the Society. At the direction of the Executive Committee, the Education Committee shall plan and propose projects to further the educational mission of the Society. 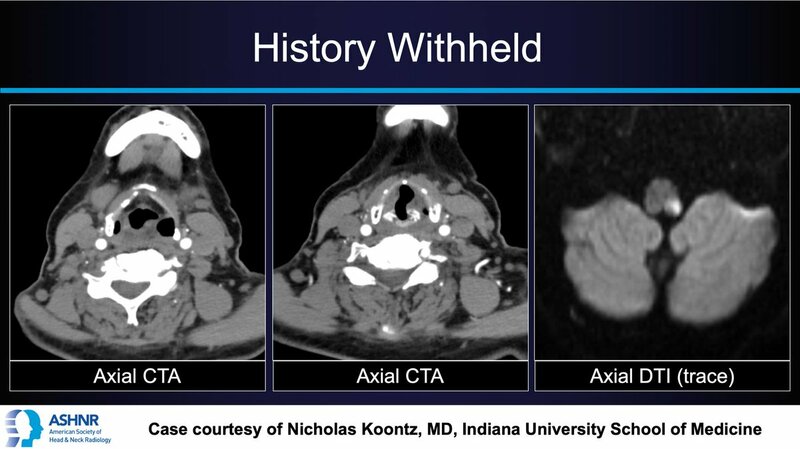 The Education Committee shall select the Outstanding Head and Neck Radiology Paper and/or Poster Presentation at the ASNR 56th Annual Meeting in June 2018 and the ASHNR 2018 Radiologist-in-Training Award recipient and the 2018 Educational Exhibit Award recipients at the ASHNR 52nd Annual Meeting in September 2018. Chair- Kristine M. Mosier, DMD, PhD. The Gold Medal Awards Committee shall solicit names for the Gold Medal Award recipient from the Executive Committee and add additional names for consideration, including candidates considered for the award during preceding 5 years. The Committee shall review the qualifications of the proposed Gold Medal Award candidates and propose one recipient at least 60 days prior to the Annual Meeting for approval by the Executive Committee. In the event that the proposed nominee is not approved by the Executive Committee the Gold Medal Awards Committee shall propose a new recipient for approval by the Executive Committee. The International Relations Committee shall represent the Society in international matters, facilitate collaboration with international societies, and provide support to conjoint activities and ventures. The Membership Committee shall develop strategies to increase/retain Society membership, and shall review and approve applications for membership from applicants who are not members of ASNR or of ASNR-managed specialty/regional societies. The Nominating Committee shall propose nominees for the Education Committee Chair and Rules Committee Chair to the Executive Committee as outlined in section 10.711 and 10.712 of the Bylaws. The proposals shall be given to the Executive Committee at least 60 days prior to the 2016 Annual Business Meeting. The Nominating Committee shall also propose nominees for the Members-at-Large positions to the Active Membership in accordance to section 10.713 of the Bylaws. Shall be responsible for planning and execution of the 52nd Annual Meeting program, including selection of appropriate topics, recruitment of suitable speakers, management of onsite logistics, and event advertisement along with meeting management firm Educational Symposia. The Publications Committee shall be responsible for all issues relating to the official Journal- The American Journal of Neuroradiology (AJNR). The Publications Committee shall conduct a search and recommend to the Executive Committee an Editor of the Head and Neck section of the AJNR when a vacancy exists. The Publications Committee Chair shall act as the liaison between the Publications Committee and the Executive Committee. The Research Committee shall address research support, direction, profile, and endeavors of the Society. The Rules Committee will review the Bylaws of the Society, advise the President of proposed changes in the Bylaws, and accept assignments regarding the rules of the Society from the President. The Website Committee shall assist in the development and maintenance of the Society website, insure accurate and most up-to-date content, and recommend enhancement to the website as needed. The Finance Committee shall assist the Treasurer with overseeing and monitoring the Society’s annual finances, including the Society’s investment programs.